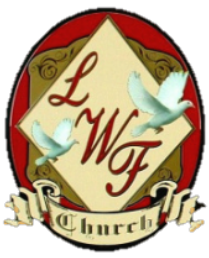 Living Word Fellowship Church © Copyright 2015. All Rights Reserved. 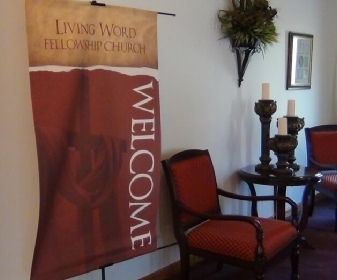 At Living Word Fellowship Church, our doors are wide open to people from all backgrounds, regardless of where they are on their spiritual journey. We are a life-giving church, and our goal is to infuse life and God's love into people and families through engaging, powerful worship services that offer biblical truth in relevant and practical ways. Together, we're striving to become the kind of church described in the Bible, where there's relevant teaching, heart-felt worship, honest friendships, constant prayer, and compassionate care for those in need. In short, we'd like to have the kind of contagious Christianity that can influence and encourage the entire community, one life at a time. So, if you are still just checking out the "church scene" and investigating the claims of Jesus Christ, thank you for allowing us to help you in your search. Or, if you are a committed Christ-follower who wants to sink the roots of your faith even deeper, you can find a home here at Living Word Fellowship Church. Living Word Fellowship Church invites you to come walk the journey of faith with us. If we can answer any questions or serve you in any way, please feel free to call on me.